This latest one comes packing a set of numbers that give more credibility to the name than ever. No less than 600PS and 750Nm plus a 0-62mph time of 3.4 seconds and, if you pay to derestrict it, 189mph. Supercar stuff and, of course, the quickest, most powerful M5 ever. 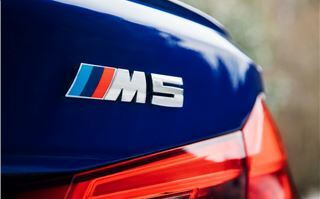 But crucially, actually driving the M5 breathes riveting, raw life into the cold hard facts. It’s absolutely sensational. The technology making that happen is even more impressive than the figures. 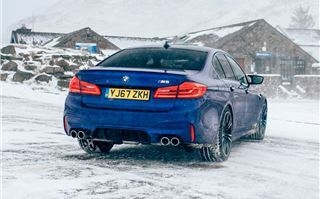 It’s four-wheel drive but is heavily rear biased – and can be switched to pure rear-wheel drive if you like. Best of both words, then - plenty of traction but with room for slidey nonsense. It also comes with selectable driving modes covering not only the drivetrain configuration itself, but the steering weight, gearbox aggression (an eight-speed sequential auto) and damping firmness. 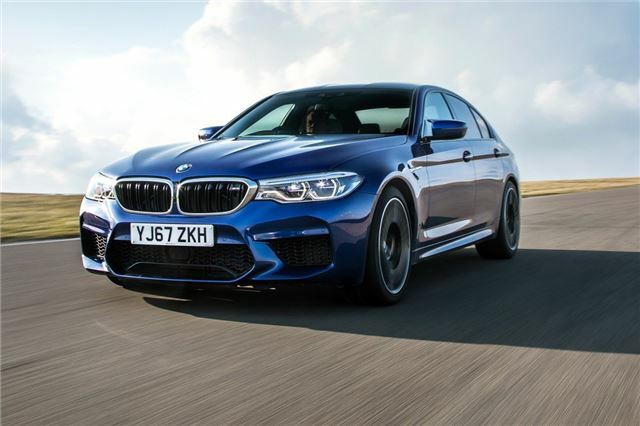 But the headline thing is a 4.4-litre twin-turbo V8 whose fantastic responsiveness is matched by its ability to bellow. 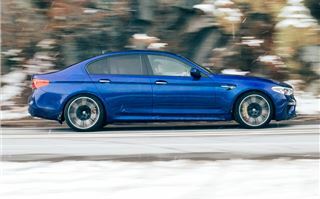 The noise the M5 makes is perhaps a little tamer than the hyper-car howl some might want or expect, but it’s still very loud, bassy and deeply satisfying. 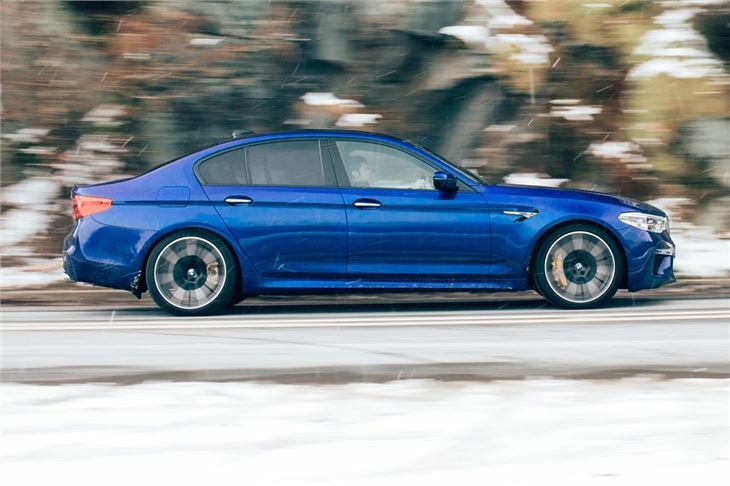 Ultimately, though, the M5 is less about raw speed and fireworks and more about a breadth of abilities. 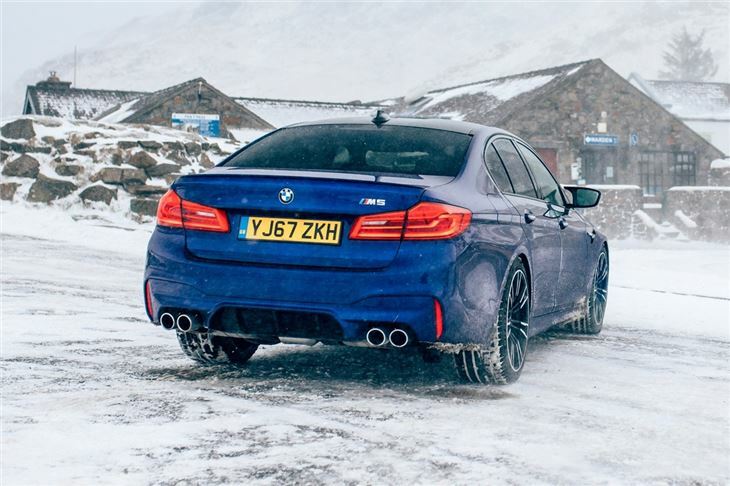 Yes, it feels every bit as quick as it looks on paper – relentless, basically – but it genuinely combines all the docility of a 520d with the pace of an Audi R8. Proof: it gets to 62mph just one tenth of a second slower. To say this is a clever car is an understatement. And in the cabin that’s an impossible thing to forget. Almost everything in the centre console is touch sensitive - from the keypad that houses the driving mode selectors to the top of the iDrive scroll wheel and the air con controls. The instrument binnacle is also fully digital. Even the key has a touch screen on it, able to tell you how much fuel you have left and whether the doors are locked and such. It’s enormous, but it’s also probably the only key that you’ll ever want to show people. Unless you have the key to a city. So, that’s the key dealt with. Less importantly, what’s it like to drive? You needn’t ask. It’s more brilliant than the sum of the engineering and technology that’s gone into it. 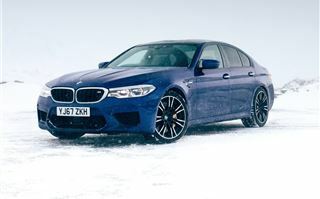 Switching to four-wheel drive (a first for an M5) hasn’t hampered the fundamental balance. 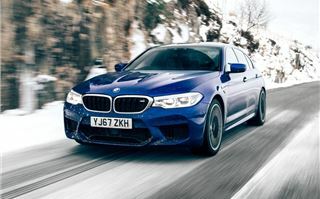 And although it always feels like a big car - and the steering a little lighter than you might expect - there’s a precision and sharpness about it that makes the M5 feel wonderfully fluid. The suspension isn’t jarring, even in its firmer modes, yet there’s a tangible sense of connectedness to the road. Incidentally it’s slightly bigger in all directions than the outgoing M5, but thanks to clever material use – most notably the carbon fibre reinforced plastic (CFRP) that was developed for the i3 and i8 electric cars – it’s a little lighter too. 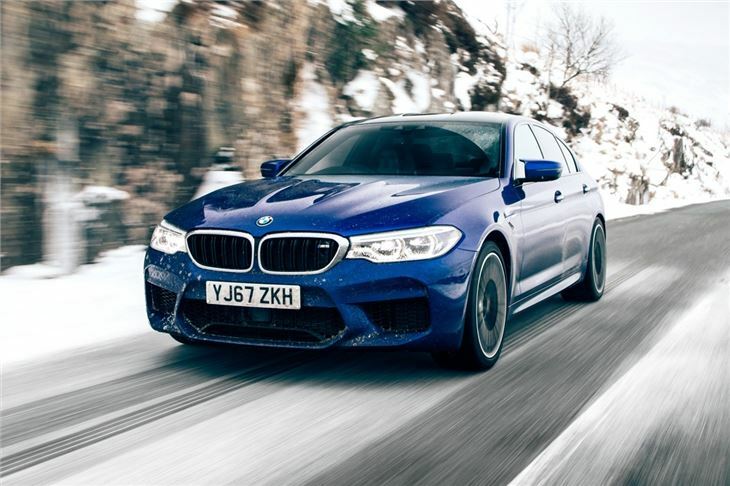 Everything in the M5’s cabin is just lovely to look at and touch, from the thick, spongy rim of the steering wheel to conspicuously luminous ambient lighting – whose colour you can adjust. The M5 is so dynamically competent, rapaciously quick and day-to-day friendly that criticism largely boils down to taste and preference. Some might prefer the look and/or sound and/or image and/or feel of the Mercedes-AMG E 63 S, say, but it’s not really quantifiably better or worse. Just different. That said, there’s the whole price thing. A couple of options in and you can easily surpass six figures. The spec is generous but there are things tactically left on the options list that BMW knows buyers will want. Like a louder exhaust. There are two ways of looking at that: There’s “that’s outrageous! 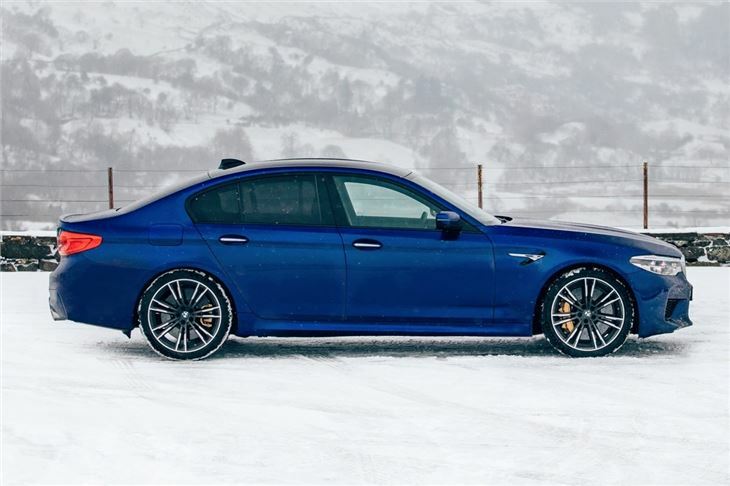 When did the M5 stop being a £60,000 car and became a £100,000 one?” Or there’s, “my supercar has four doors, five seats, is very comfortable, is quite discreet, can be used to go to the tip.” We’d suggest the latter is the way to approach this quite wonderful example of automotive engineering. Highly recommended.